Every day, residents in the Dallas-Fort Worth Metroplex hail a taxi to get to work, go out with family and friends, or take care of their day-to-day business. In addition, many business and leisure travelers use taxis to get around North Central Texas, thus avoiding the stress of driving in a strange area. Cowboy Cab Company, Checker Cab Company, King Cab Company, and Yellow Cab are a few of the dozens of taxicab companies to choose from. Taking a taxi to get where you need to go is very convenient, but it can turn into a nightmare if your driver causes a taxi wreck and you are seriously injured. This can be even more traumatic if you are here on a family vacation or all alone in a big city where you know no one. When you’re hurt and need help, the Hart Law Firm is here for you. The specific details of your taxicab collision will determine who should be held responsible for your injuries. 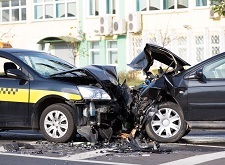 To determine liability in a complex case like this, your attorney may need to hire an collision reconstruction expert, inspect the taxi’s maintenance records, review driving records, and obtain other taxi company documents. In Texas, taxi companies are required to carry much higher insurance coverage for their cabs than individual drivers carry for their personal automobiles. Still, the amount you could receive after a taxi collision will depend on many factors, including the severity of your injuries, how your injuries will affect your day-to-day life, whether a family member died, and the cause of the collision. If you were not wearing a seatbelt at the time of the collision, you may be worried that it will prevent you from receiving any recovery. While the amount of compensation you are entitled to may be reduced because you weren’t wearing a seatbelt, you still could recover a substantial sum; don’t let that stop you from seeking the compensation you need and deserve. You may be surprised at how soon after your collision the taxi company’s insurance adjuster contacts you. This person may seem concerned about your health and may appear to have your best interests at heart. However, you must remember that an insurance adjuster works for the insurance company, so you should be very careful of what you say when talking to him. The adjuster will most likely ask you to provide a recorded statement and to sign a blanket medical authorization. Do not agree to either of these as he could try to use this information to deny your claim or reduce the amount of your settlement. In fact, you should not give any statements, sign any authorizations, or agree to a settlement without first consulting with an experienced taxi collision attorney. Once you settle your case, you cannot later change your mind and try to recover more compensation. Keep in mind that the taxi company and its insurance company will hire a team of defense attorneys to try to minimize the compensation they pay on your claim. Hiring one of our knowledgeable personal injury lawyers with experience in taxi collision claims will level the playing field and help you obtain the best possible outcome for your claim. Have you been seriously hurt in an collision in a cab in Dallas, Fort Worth, or the surrounding areas? Many law firms avoid taxi accident cases because of the additional complexity and effort involved. However, David Hart, a State and Nationally Board Certified Attorney, has built his practice on helping clients in need. He is committed to getting taxi collision victims like you the compensation you deserve, and he is not afraid to take on cab companies and big insurance to do it. Contact our Colleyville office today at (817) 380-4888 for a free, no-obligation consultation.